It is May already and summer is fast approaching, employees will be booking time off and the hot summer days will make it harder to keep your workforce engaged. It is important to plan ahead and use your company intranet to promote upcoming summer events and to tailor content for the summer season. This blog sets out a few ideas to get your intranet summer ready and to encourage employee engagement. For further intranet inspiration book onto one of our intranet showcase events. 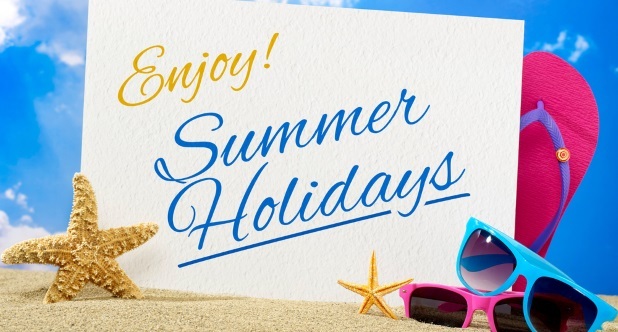 As the summer season approaches, employees will be looking to book a few weeks off for their annual holiday. Consider creating some content informing employees on how to book, amend or cancel annual leave through your intranet. With the sun out and the beer gardens calling, employee motivation might start to waver, take this as an opportunity to remind everyone what you are all working towards by emphasising business goals. Why not create some summer-inspired incentives to boost motivation and productivity? Hot weather calls for celebration, why not organise a summer social? Use the company intranet to ask for ideas, organise and promote the event. Why not create a poll so that employees can vote for date / location / activity? Do you relax your dress code for the summer months and embrace flip flops or is it important that employees remain in formal wear? Whatever your policy, use the intranet to remind staff about it. If your office is lucky enough to have a company café or restaurant area then why not publish the new summer menu? Are there any summer-time offers that you could promote? The warm weather encourages socialising, why not take the opportunity to highlight the social features of your intranet and invite colleagues to get involved? Boost morale with a summer competition. Why not create a competition that will encourage departments to post photos or videos and encourage everyone to interact? I hope this has given you some ideas about what you could do to prepare your intranet for the summer. Have you got some great ideas worth sharing? - Get in touch and let us know! For more information and to find out how SORCE can help improve your intranet, book a personalised demo or book your place at one of our intranet showcase events.